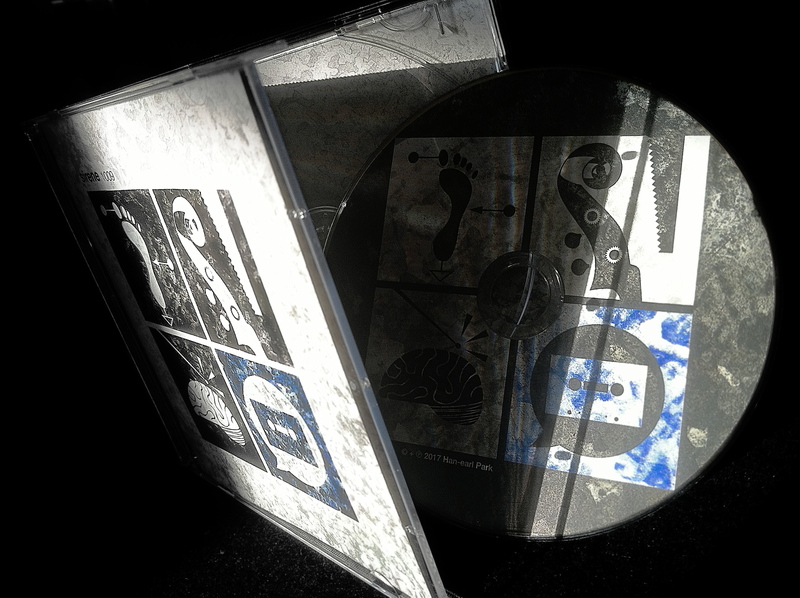 January 31, 2017: eponymous first album by Sirene 1009 is out now (compact disc and digital download). Sirene 1009 is the cyborg virtuosity of Han-earl Park, the indomitable low-end growl of Dominic Lash, the unstoppable hits and clangs of Mark Sanders, and the controlled vocal mayhem of Caroline Pugh. 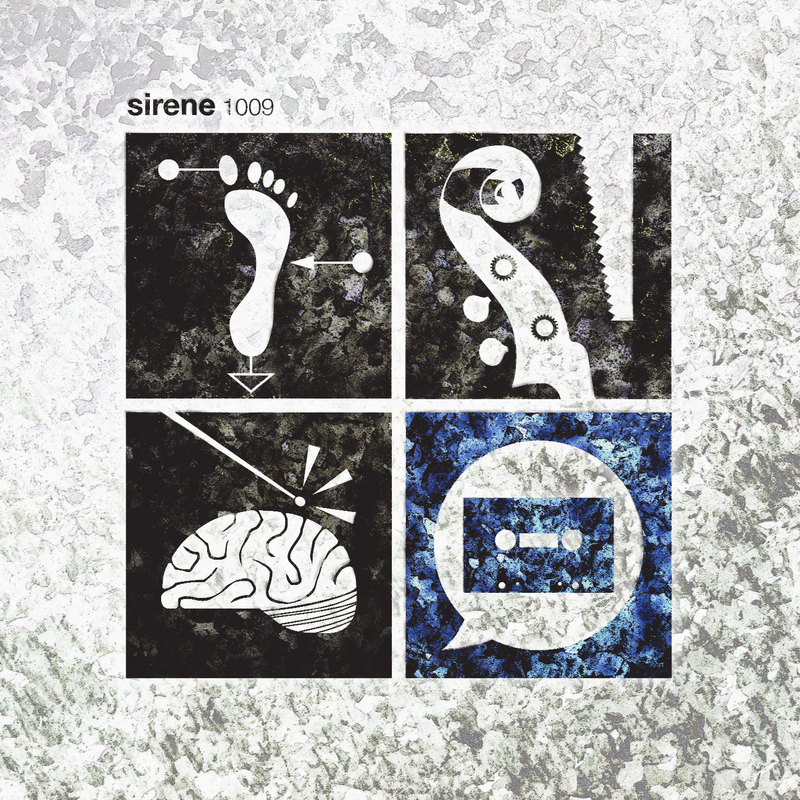 Eponymous first album by Sirene 1009. 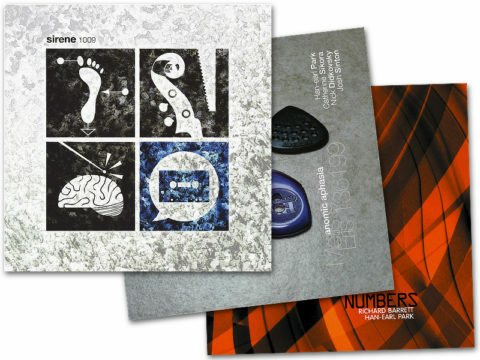 Sirene 1009 is the cyborg virtuosity of Han-earl Park (Eris 136199, Mathilde 253), the indomitable low-end growl of Dominic Lash (Convergence Quartet, The Set Ensemble), the unstoppable hits and clangs of Mark Sanders (John Butcher, Christian Marclay), and the controlled vocal mayhem of Caroline Pugh (Performing Identity and The Unknown, Photo Ballads). Muffled junkyard hammering (clang! thud! snap!) beat unlikely counter-rhythms; suspension bridge rumble in the turbulence with subwoofer scratches; bad traffic and extreme weather conspire elemental percussion; broken public address system splutter and loop, evoke the intelligible. Conjuring up rhythmic and sonic detritus from just a guitar and a volume pedal, Han-earl Park has performed with some of the craftiest improvisers from the Americas, Asia and Europe. The instigator of Sirene 1009, Park also (co-)leads Eris 136199 with Nick Didkovsky and Catherine Sikora, Mathilde 253 with Charles Hayward and Ian Smith, and Numbers with Richard Barrett. 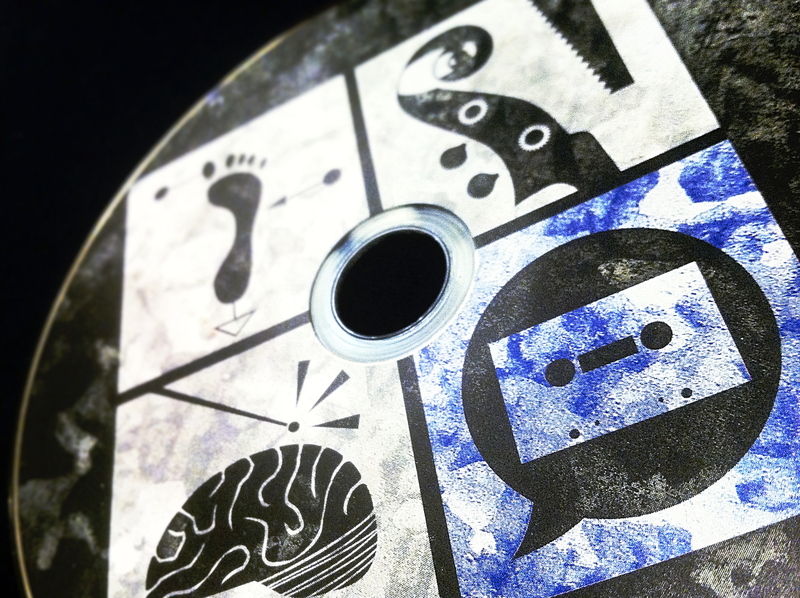 The molten, musical core of Sirene 1009 comprises the virtuosic bassist, composer and sound artist Dominic Lash, and Mark Sanders, arguably the most sought-after avant-jazz and free improvisation drummer of his generation. Sirene’s rhythm section adeptly plays the borders of idiom and the explicable. 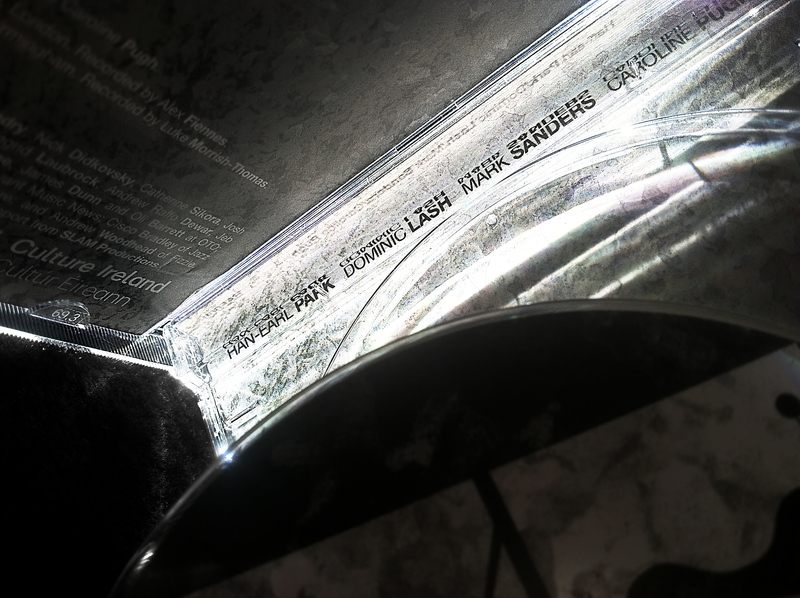 Having variously collaborated over the years in different contexts and configurations, in 2014 Park, Lash and Sanders performed for the first time as a trio. During the 2015 tour, Belfast-based avant-folk singer and electronic artist Caroline Pugh joined the group. 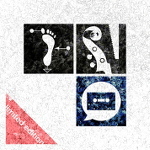 With a practice that critically, sometimes mischievously, intersects with digital, gallery and performance arts, and unmatched microphone technique (from whisper to scream, from embodied sound to flights into the stereo panorama), Pugh brings an additional layer of levity and exuberance to the already playful interactions of the trio. 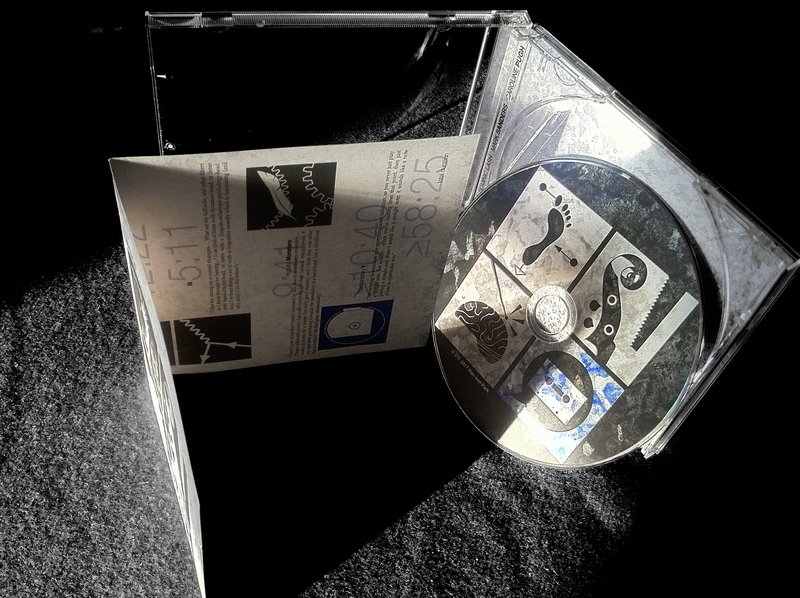 Recorded at Cafe OTO (London) during a Culture Ireland funded tour of England, and during a single afternoon studio session in Birmingham, the album documents an ensemble of musicians representing diverse strands of present-day improvised musics; performances that fragment and recombine musical histories, that leaps unexpectedly between noise, melody, dissonance, harmony and rhythm. Han-earl Park (guitar), Dominic Lash (double bass), Mark Sanders (drums), and Caroline Pugh (voice and tape recorder). Psychohistory III (≥9:47), Cliodynamics I (10:44), Cliodynamics II (12:22), Cliodynamics III (5:11), Hopeful Monsters (9:41), Psychohistory V (≥10:40). Total duration ≥58:25. Music by Han-earl Park, Dominic Lash, Mark Sanders and Caroline Pugh. 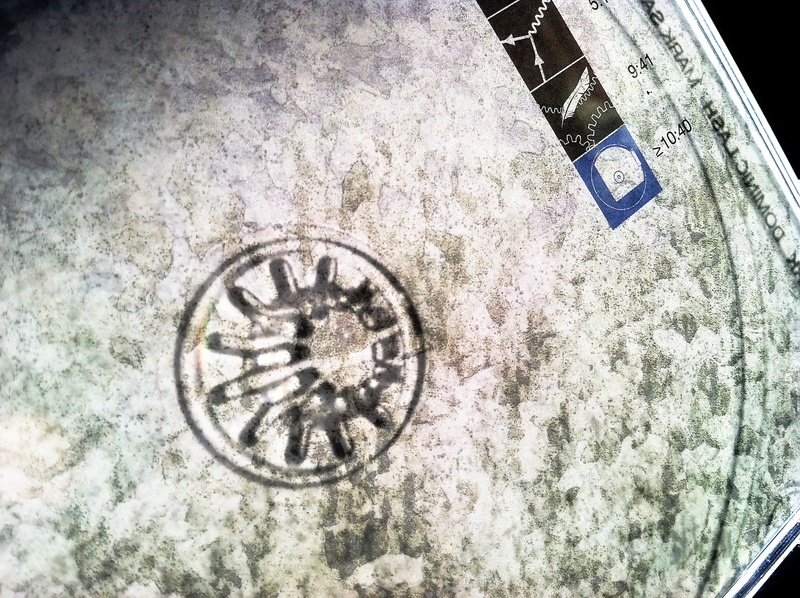 Tracks 2–5 recorded live December 3, 2015, Cafe OTO, London. Recorded by Alex Fiennes. Tracks 1 and 6 recorded June 16, 2016, Flood Studio, Birmingham. Recorded by Luke Morrish-Thomas. Design and artwork by Han-earl Park. Thanks to Alex, Luke, Bruce Coates, Richard Scott, Kate Hendry, Nick Didkovsky, Catherine Sikora, Josh Sinton, Franziska Schroeder, John Hough, Corey Mwamba, Ingrid Laubrock, Andrew Raffo Dewar, Jeb Bishop and Melanie L Marshall; to Simon Holliday, Fielding Hope, James Dunn and Oli Barrett at OTO; George Haslam at SLAM; Cath Roberts of LUME; Mike Borella of Avant Music News; Cisco Bradley of Jazz Right Now; Nasc Ireland; Seth Cooke and everyone at Bang the Bore; and Andrew Woodhead of Fizzle. Performers: Han-earl Park (guitar), Dominic Lash (double bass) and Caroline Pugh (voice and tape recorder). © + ℗ 2016 Han-earl Park. Somewhere out there, there’s an SUV-sized violin tailgating, a No Wave guitarist desperately trying to survive in the Appalachian Mountains, someone dropping sheets of metal during a Jazz Session, an evolutionary biologist finding themselves speaking in tongues (Awash in Blue). Improviser, guitarist and constructor Han-earl Park (박한얼) has been crossing borders and performing fuzzily idiomatic, on occasion experimental, always traditional, open improvised musics for twenty years. He has performed in clubs, theaters, art galleries, concert halls, and (ad-hoc) alternative spaces across Europe and the USA. Mark Sanders has played with many renowned musicians from around the world including Evan Parker, Peter Brotzmann, Derek Bailey, Myra Melford, Paul Rogers, Henry Grimes, Roswell Rudd, Okkyung Lee, Barry Guy, Tim Berne, Otomo Yoshihide, Luc Ex, Ken Vandermark, Sidsel Endresen and Jean Francois Pauvrois, in duo and quartets with Wadada Leo Smith and trios with Charles Gayle with Sirone and William Parker. New collaborative projects include ‘Riverloam Trio’ with Mikolaj Trzaska and Olie Brice, ‘Asunder’ with Hasse Poulsen and Paul Dunmall, duos with John Butcher and DJ Sniff, ‘Statics’ with Georg Graewe and John Butcher, and trio with Rachel Musson and Liam Noble. Mark and John Edwards play as a rhythm section with many groups including Trevor Watts Quartet, ‘Foils’ with Frank Paul Schubert and Matthius Muller, Mathew Shipp’s ‘London Quartet,’ also playing with Fred Frith, Wadada Leo Smith and Shabaka Hutchins amongst many others. Christian Marclay’s ‘Everyday’ project includes Mark with Christian, Steve Beresford, John Butcher and Alan Tomlinson, he also works regularly in the projects of Mikolaj Trzaska, Gail Brand, Paul Dunmall, Peter Jaquemyn, and Simon H. Fell. Mark has performed in the USA, Canada, Brazil, Japan, Morrocco, South Africa, Mozambique and Turkey, playing at many major festivals including, Nickelsdorf, Ulrichsburg, Glastonbury, Womad, Vancouver, Isle of Wight, Roskilde, Berlin Jazz days, Mulhouse, Luz, Minniapolis, Banlieue Bleues, Son D’hiver and Hurta Cordel. He has released over 120 CDs. Scottish vocalist and composer Caroline Pugh borrows old-fangled technologies and honours oral histories to create new performances. With a background in both folk and improvisation, her solo works You’ve Probably Heard These Songs Before, Timing By Ear, Measuring By Hand and Platform Audio also draw on performance art and pinhole photography. Originally from Edinburgh, Caroline has performed across Europe and North America with new improvisation performances including Los Angeles’ Betalevel in 2012, NIME 2011 in Oslo, Just Listening 2011 in Limerick and Experimentica09 in Cardiff. She is also in a band called ABODE and an improvisation collective called E=MCH. Now based in Belfast, Caroline sings in a folk duo with Meabh Meir and together with Myles McCormack they run traditional song sessions at the Garrick Bar on Mondays from 7.30-10pm. In 2011, Caroline was awarded an Art Council Northern Ireland grant for her solo work and gained a Distinction for her AHRC-funded Master of Music at Newcastle University. She coaches students at Queen’s University Belfast and has worked in collaboration with visual artists (Connecting through Scape 2008), theatre practitioners (hour8+9 2009), video artists (SAAB 2009), dancers and psychologists (Newcastle and Northumbria Universities 2010). She also got a BA in Scottish Music from the Royal Academy of Music and Drama in Glasgow, and studied Contemporary Music at the University of Central Lancashire for a wee while too. Performers: Han-earl Park (guitar), Dominic Lash (double bass) and Corey Mwamba (vibraphone and flute). © 2015 Han-earl Park. ℗ 2015 Park/Lash/Mwamba. Performers: Pat Thomas (piano), Dominic Lash (bass) and Mark Sanders (drums). © + ℗ 2013 FMR Records. Performers: Han-earl Park (guitar), Paul Dunmall (saxophone), Mark Sanders (drums) and Jamie Smith (guitar). 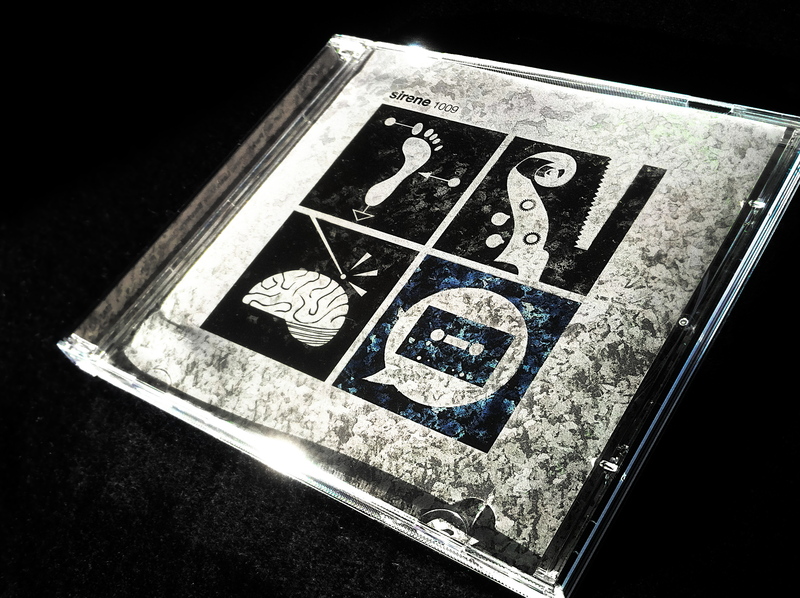 © 2009 by Owlhouse Recordings. ℗ 2009 Han-earl Park/Paul Dunmall/Mark Sanders/Jamie Smith.